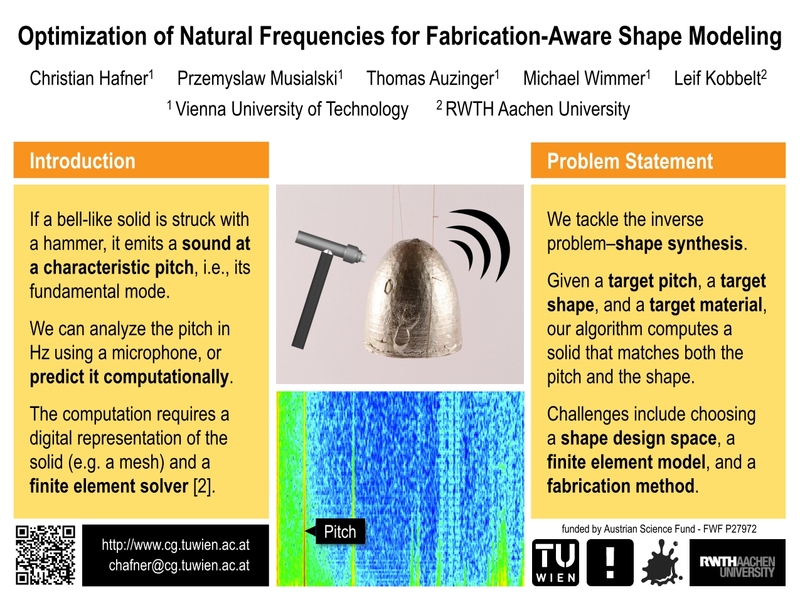 The aim of this project is to investigate and to contribute to shape modeling and geometry processing for personal fabrication---a trend that currently receives intensified attention in the science and industry. Our goal is to contribute novel algorithmic solutions for fabrication-aware shape processing and interactive modeling. In particular, we want to research following aspects: (i) We want to address the currently pending problem of high-level shape understanding, (ii) we want to research novel high-level shape modeling methods for interactive creation of plausible and aesthetically appealing shapes, and finally, (iii) we want to address optimization problems related to instant desktop 3D printing, such that modeled objects can be directly fabricated. The outcome of the project will be a set of algorithmic solutions for high-level shape modeling for instant personal fabrication. Last update on 29. Jun 16.